(NICHOLASVILLE, Ky) – Anyone who has ever tried to play the game of golf knows that it really is a good walk spoiled. Unless you’re the Golden Bear, or the Great White Shark, or the Big Easy, or the Walrus, or the King, you’ve undoubtedly been repeatedly traumatized by the ever-lurking water hazards, sand traps, and narrow fairways lining the links. Just like you, I’ve been there and done that. What I haven’t done yet is to cover a professional golf tournament—and all that’s about to change as the fourth annual Barbasol Championship rolls into Keene Trace Golf Club. It’ll be the first PGA TOUR tournament (excluding majors) to be held in Kentucky since the Kentucky Derby Open was played in Louisville from 1957-59. For those keeping score, that’s a long time ago—over a decade and a half before Tiger Woods was even born. What’s it like to actually play in this event? You’re about to find out. 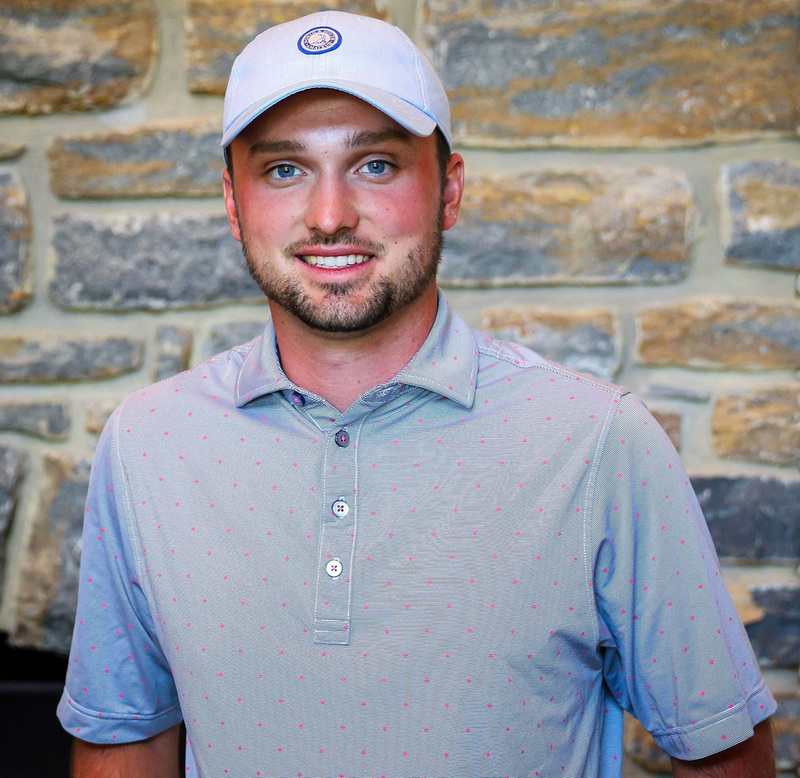 Fresh off leading the UK men’s golf team to its 10th appearance in the NCAA Championships, Clay County’s own Tyler “Chip” McDaniel will make his official pro debut on the Arthur Hills designed Champions course. McDaniel, together with UK teammate Cooper Musselman, received sponsor exemptions to participate in the tournament boasting a $3.5 million purse and 300 FedExCup points to the winner. The winner will also earn a two-year exemption on the PGA TOUR and an automatic berth in the PGA Championship next month in St. Louis. I’ll be shadowing Chip exclusively on his inaugural run through destiny. I hope you’ll hop along for the ride. McDaniel, a Manchester native, played 133 collegiate rounds at UK with a 72.00 stroke average. He won the Bearcat Invitational in his senior season when he fired a career-low 54-hole total of 201. 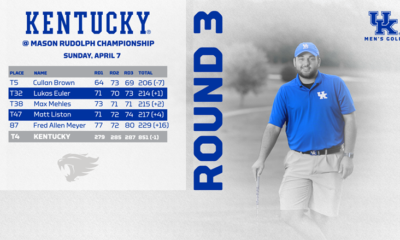 He matched that total at the Gary Koch Invitational where he helped UK win its fourth event of the season in a runner-up individual finish. Of course, who can forget his dramatic finishing hole eagle to propel the Wildcats through the NCAA regionals and into the championship round. For good measure, McDaniel also owns a Junior PGA Championship (2013) and a couple of Kentucky State Amateur titles (2013, 2017) to boot. All in all, not too shabby for someone embarking on his maiden professional journey. The word “awesome” appropriately describes the set up for this year’s tournament field. Hall of famer Davis Love III, winner of the 1997 PGA Championship, headlines this year’s list of impressive entries. Love, who has 21 victories on the PGA TOUR, together with nine-time TOUR winner Stuart Appleby, six-time winner Hunter Mahan, and 2014 FedExCup Champion Billy Horschel will all by vying for the championship trophy. They’ll be joined by Brittany Lincicome, the first woman to compete in a PGA TOUR event since 2008. Lincicome boasts eight wins on the LPGA Tour, including two major championships. 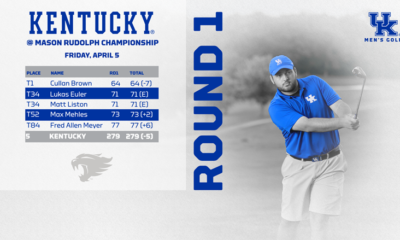 Ex-Henry Clay High School and Morehead State golfer Josh Teater, University of Louisville graduate Derek Fathauer, and Owensboro product Matt Atkins are also committed to play, giving this year’s 132-man field a distinctive Kentucky flavor. I can’t wait to see how Chip stacks up with all that outstanding talent. One thing’s for sure—Dreams do sometimes come true and Chip McDaniel will be making all the hometown folks proud, regardless of outcome. He’ll be teeing it up at approximately 9:59 am on Thursday and I’ll be on hand to monitor his progress and cheer him on. Whether dodging divots, dancing to the tunes of J.D. Shelburne, or downing a Bluegrass Mule, spectators at this week’s Barbasol Championship are in for a real treat. Stay tuned! John Huang is a columnist for Bluegrass Sports Nation and Nolan Media Group. Follow him on Twitter @KYHuangs for the latest updates on Chip and the rest of the Barbasol field. If you enjoy John’s writing, you can read more at www.huangswhinings.com.